Click here for audio of Episode 705. Today, necessity makes a poor mother for invention. The University of Houston's College of Engineering presents this series about the machines that make our civilization run, and the people whose ingenuity created them. We don't think much about moving the sick or hurt until we have to. Armies have to. That's why armies first created the specialized vehicle we call an ambulance. William the Conqueror's army had an early ambulance. It was only a litter carried by one horse in front and another in back. The wounded man rode in a closed box on the two poles. He suffered a bone-jarring ride. Various carts and litters show up in military records until Napoleon. Then, in 1810, a French army surgeon, Dominique Larrey, invented his so-called "Flying Ambulance." Larrey's ambulance was a light two-wheeled, two-man carrier. It had padding, windows, and some ventilation. It gave a pretty comfortable ride over an open field. The wounded man felt like he was flying. And that was the military standard through the last century. 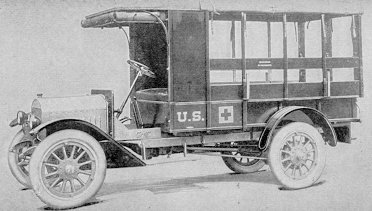 Ambulances were pure creatures of war until the Red Cross formed in response to war. After 16 years of birth pain, President Chester Arthur finally signed the American Red Cross charter in 1881. 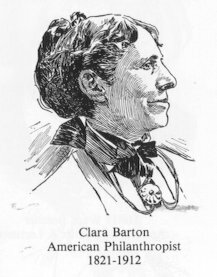 Clara Barton had carried that struggle in America. Meanwhile, she'd worked tirelessly for better medical service. The first hospital ambulance services came out of her efforts. They used horse-drawn vans. The ambulance breakthrough came in 1899. That's when the Wood Company put a new motorized ambulance on the market. It was a battery-powered van that went 16 miles an hour. It had the unhappy honor of carrying our dying President McKinley after he was shot in 1901. From then on, public ambulance service grew in an odd, but logical, place. Who had the best facilities for carrying a person quickly, comfortably, and horizontally? Who was on call twenty-four hours a day? Why, funeral directors, of course! You don't know whether to laugh or cry. So ambulances were slow in coming. They were given to us, not by inventors, but by soldiers and undertakers. They're one of the few inventions mothered only by necessity -- not by creative pleasure. And that's the reason they took so long. van Beck, T.W., The 1,100-year History of the Ambulance. The American Funeral Director , May, 1992, pp. 44-63. The Engines of Our Ingenuity is Copyright © 1988-1997 by John H. Lienhard.